Six Carter Jonas staff members from the Harrogate, York and Leeds offices are currently in training to take part in the Great North Run to raise funds for charity. The participants are raising money for the British Heart Foundation and for Marie Curie Cancer Care by taking part in the run on Sunday 7 September 2014. For five of the staff members this will be the first time they have taken part in the Great North Run and for some their first half marathon. The team are not experienced runners; however each of them were inspired after Jo Hollins, a negotiator with the York office took part in the run last year. The British Heart Foundation is a particularly poignant charity for the runners as ex-colleague at Carter Jonas, Tom Aylott discovered last year he had a massive heart defect and had to have major surgery. He will be at the race to cheer the team on. It is also close to the heart of Claire Beatson, a negotiator with the York office, as her dad had life-saving surgery for a triple heart by-pass after a blockage in one of his arteries was discovered during a routine check-up earlier this year. 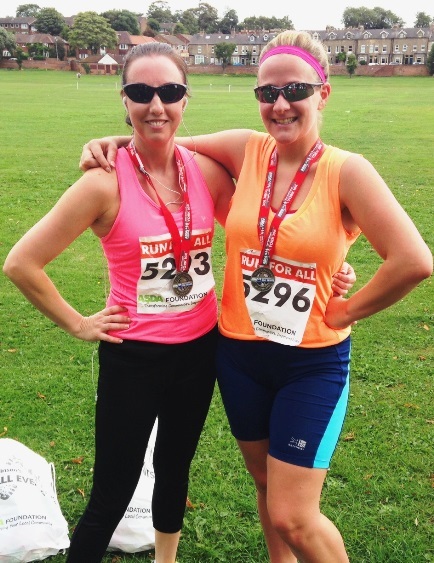 “It is fantastic that our staff members are taking part in the Great North Run and raising money for two very important charities. The team have already exceeded their fundraising target of £400 and are continuing their fundraising efforts with a Great British Bake Off inspired office bake sale. The Great North Run is on Sunday 7 September and covers 13.1 miles from Newcastle, across the iconic Tyne Bridge and finishes in South Shields. The race will be broadcast on BBC One from 9.30am.